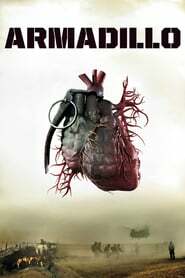 ARMADILLO is an upfront account of growing cynicism and adrenaline addiction for young soldiers at war. Mads and Daniel are on their first mission in Helmand, Afghanistan. Their platoon is stationed in Camp Armadillo, right on the Helmand frontline, fighting tough battles against the Taliban. The soldiers are there to help the Afghan people, but as fighting gets tougher and operations increasingly hairy, Mads, Daniel and their friends become cynical, widening the gap between themselves and the Afghan civilisation. Mistrust and paranoia set in causing alienation and disillusion. Armadillo is a journey into the soldier?s mind and a unique film on the mythological story of man and war, staged in its contemporary version in Afghanistan.